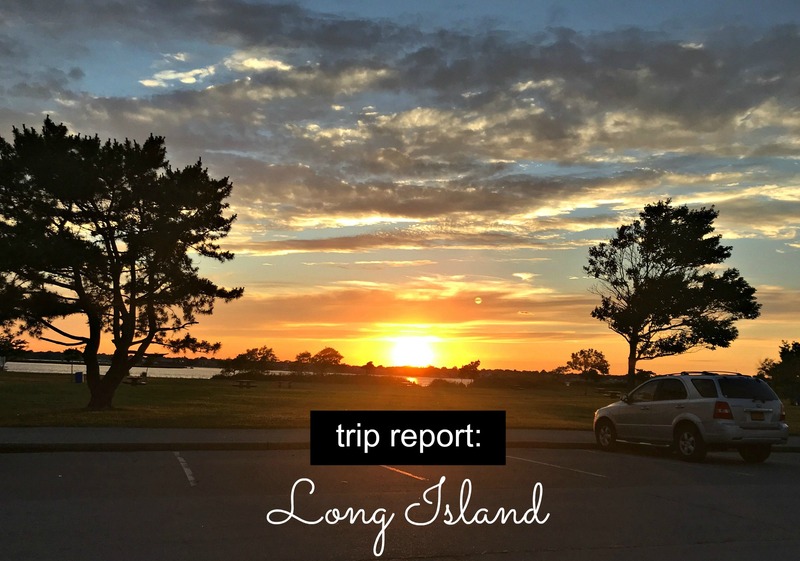 I hope you enjoy this trip report on our weekend spent in Long Island eating some delicious food and enjoying friends. Hey friends! 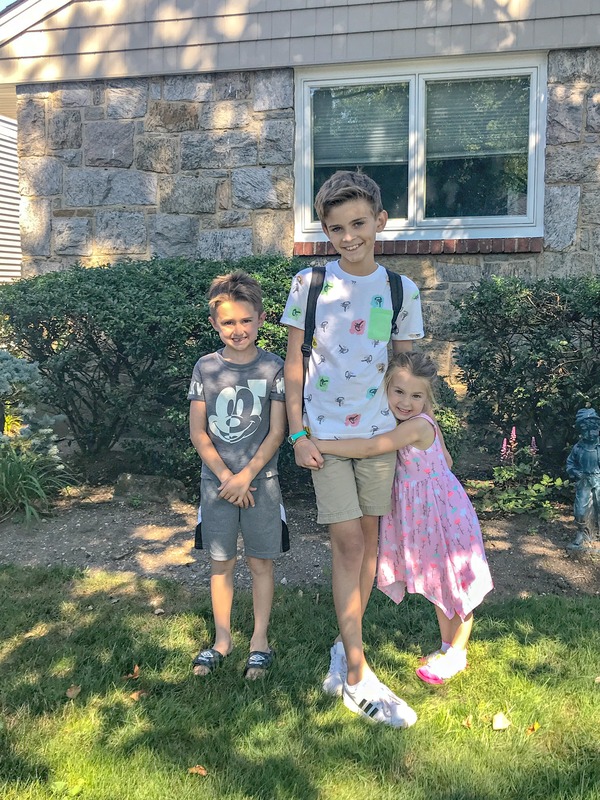 Wow, things have been hectic for us lately because I started back to work and the kids started back to school. We moved our middle son into his dorm room and he has officially started college life. Dropping your kid off at college is no easy task, am I right moms? We are still getting used having him gone and having a more structured school routine, but we are getting there. Over the summer we took a trip to New York City. But before we made it to the Big Apple, we stopped off to visit friends in Oceanside, Long Island for a few days. 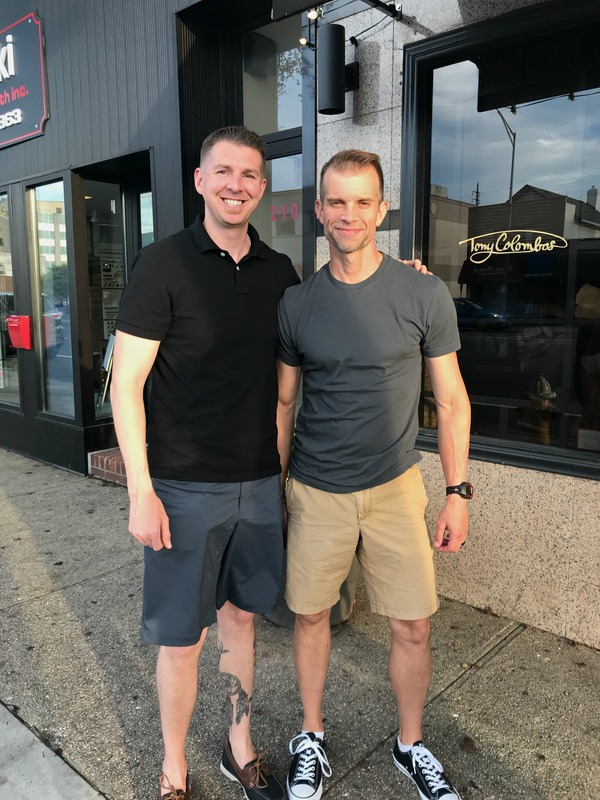 Neither of us had been there before, so today I thought I would share a little Long Island trip report with you! 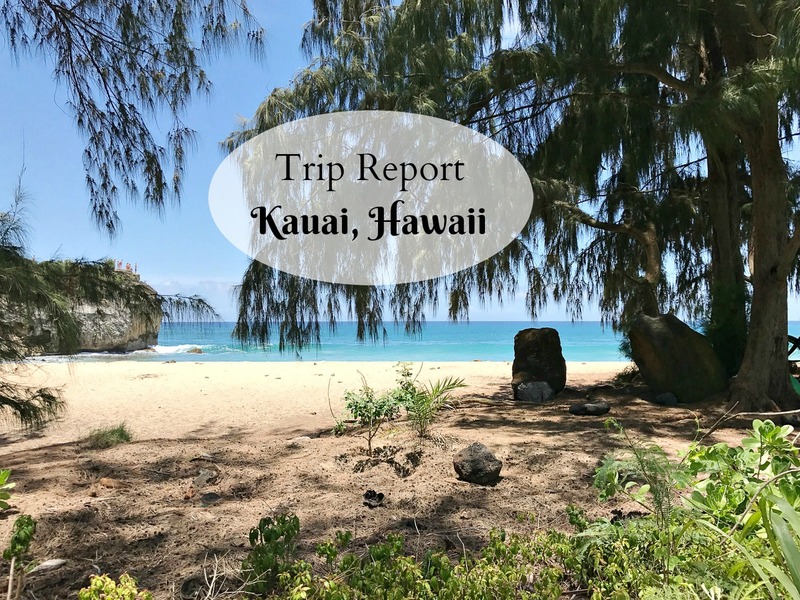 Our friend Rob and his wife are self proclaimed foodies, so we tasked them with taking us to some of their favorite places, and we ate so much delicious food! Our first stop was Tony Columbos Italian Bistro. 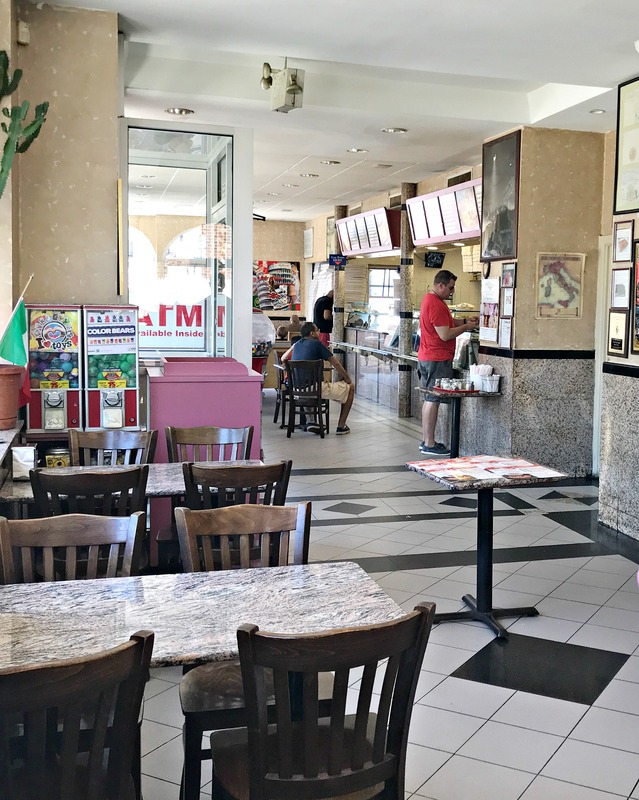 Tony Columbos is located in Rockville Centre, and is the home to Long Island’s favorite meatball and many other Italian food favorites. Our friends frequent this restaurant, and we were excited to try it out. Especially since we live in a community that has a lot of Italian heritage and many Italian Restaurants. So it is hard to top the Italian eateries we frequent at home. 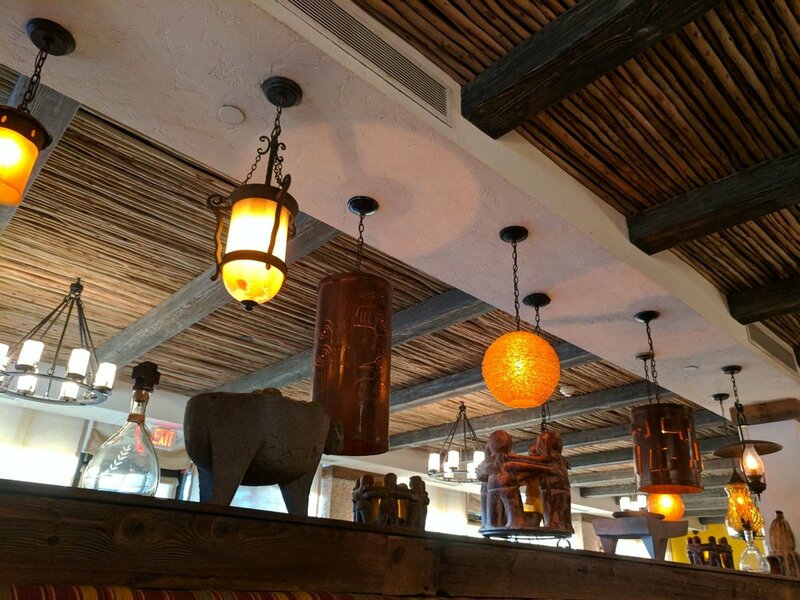 This restaurant had a lovely atmosphere, and the food was delicious. We also had excellent service. Our wait staff knew our friends and were very kind. Our friend even took an ice cream cone back to our waitress after we went nearby for ice cream after dinner. 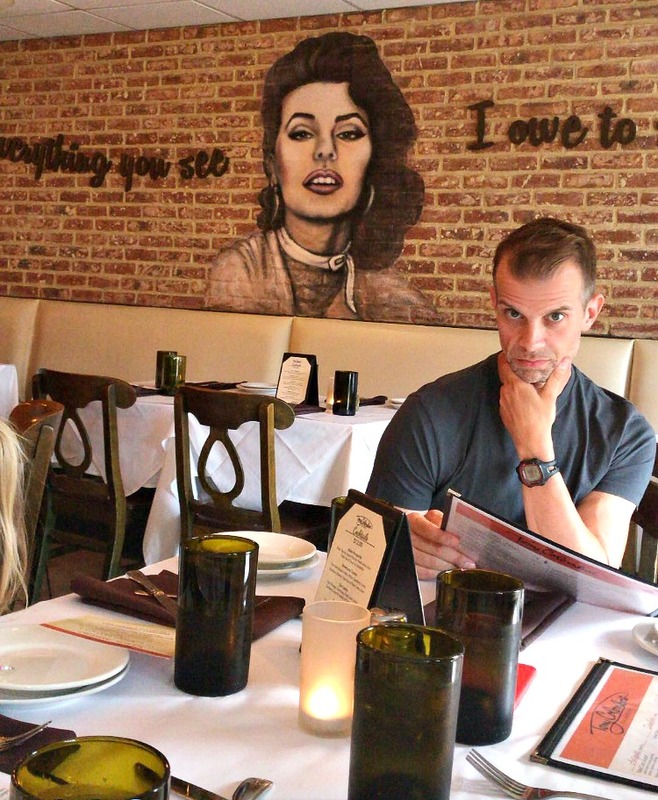 Do you know who that mural is on the wall? 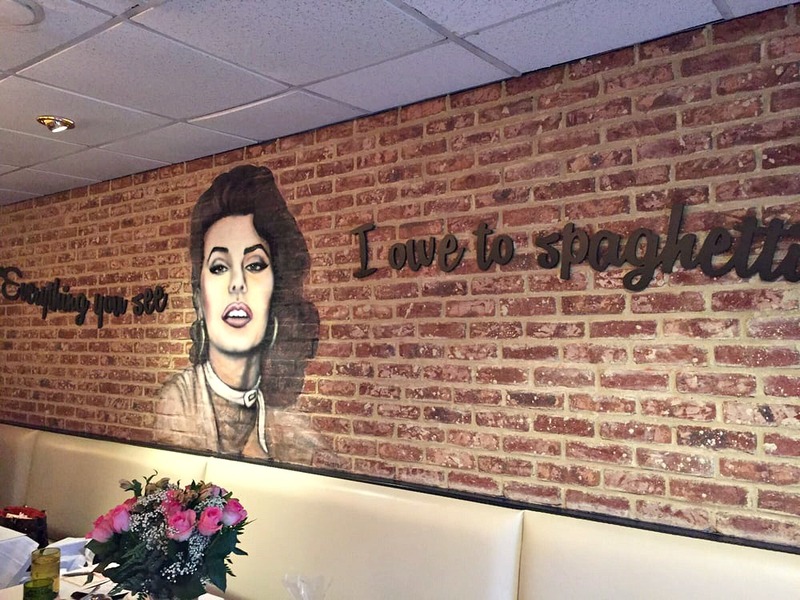 This mural was my favorite part of the decor, and it is Sophia Loren. I love the quote that says “Everything you see, I owe to Spaghetti”. I mean, a woman after my own heart! It was a show stopper for sure. 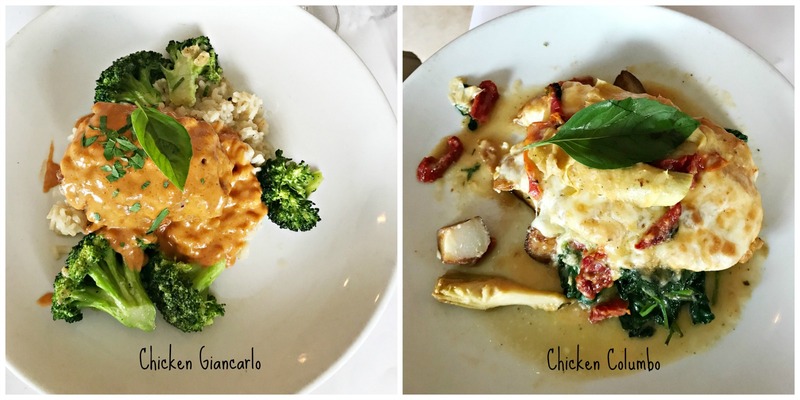 Below is a photo of the dishes my husband and I had, and both were fantastic. If you live nearby to this restaurant, I highly recommend it, or if you are ever traveling through, stop and give it a try! 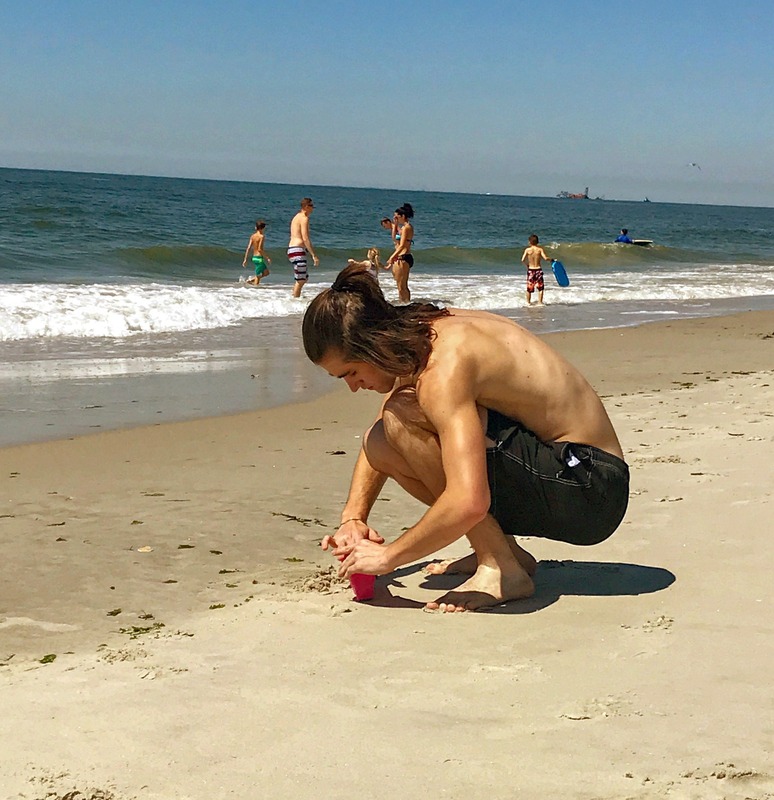 I specifically requested to spend a day at the beach, because since our family vacay this year was in NYC, I just needed to dip my toes in the sand while I had a chance. 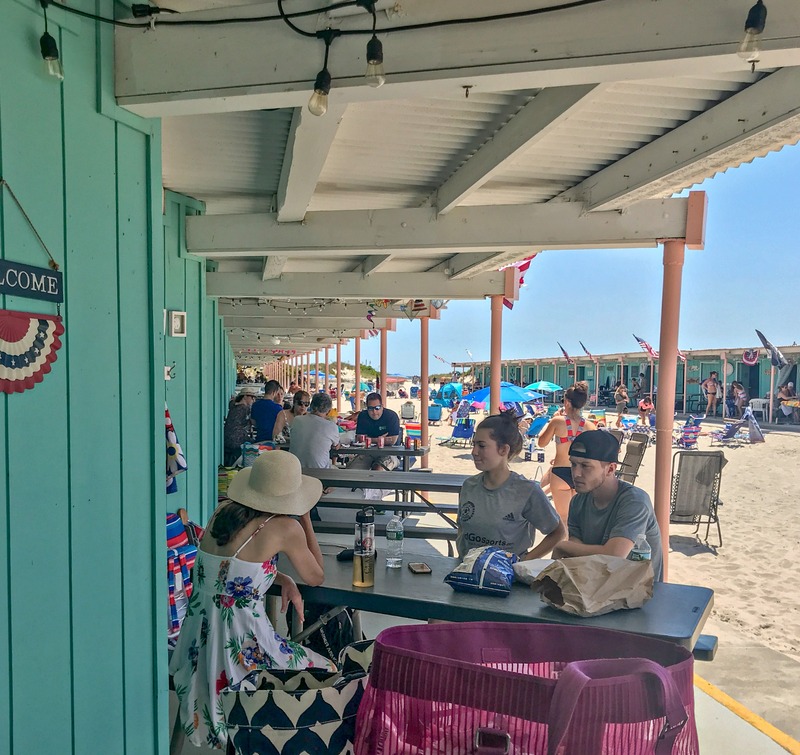 So our friends took us to Nickerson Beach to the cutest little beach cabanas ever! We had never seen cabanas like these before. But from what I understand you rent them out for the summer through some kind of a lottery, and I was totally smitten! I mean look at the turquoise and pink! 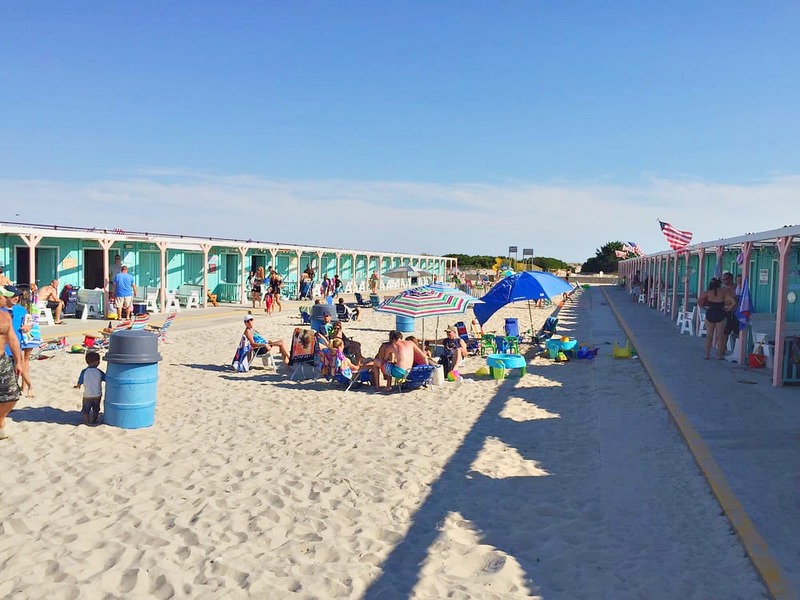 These cabanas were a short walk to the ocean and there is also a pool and places for people to barbecue. Inside of the cabana is a shower area and a refrigerator with a place for storage. This photo I took of my 18 year old son warms my heart so much, and it is living proof that you are never too old to play in the sand. Let’s talk pizza! 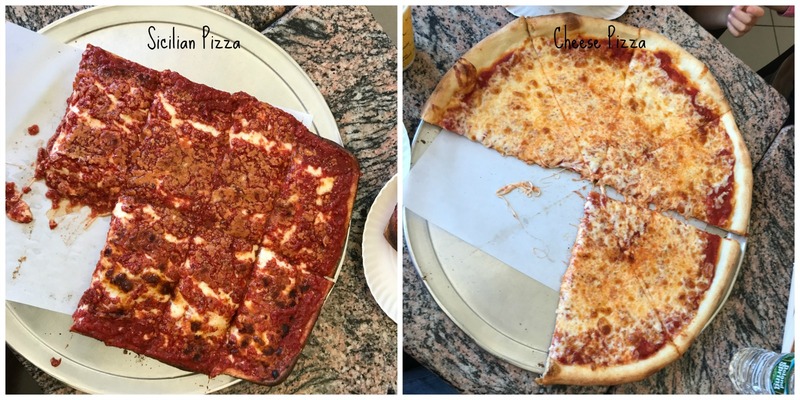 We specifically requested for them to take us to their favorite pizza place, I mean it’s New York, we needed some really good NY pizza. So they took us to Queens! 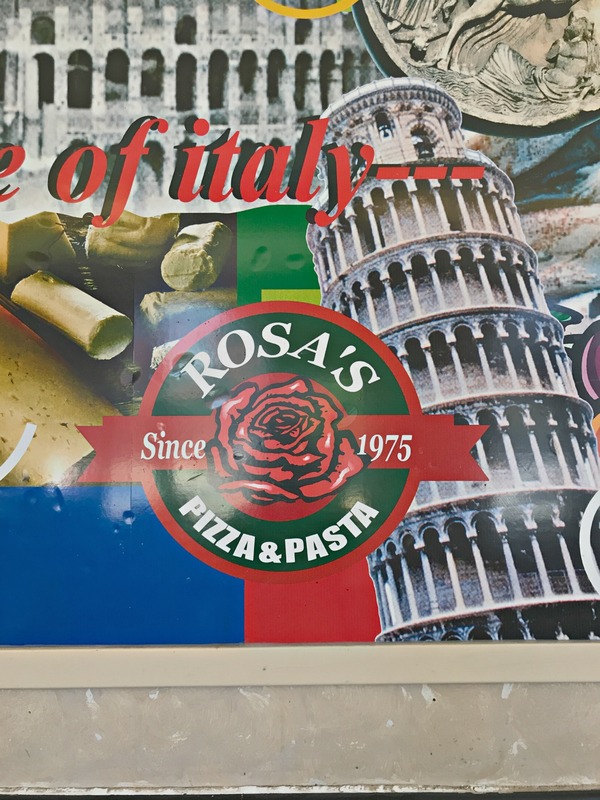 We went to a place called Rosa’s Pizza and Pasta, and OMG you guys! My mouth is watering right now just remembering how delicious this pizza was! 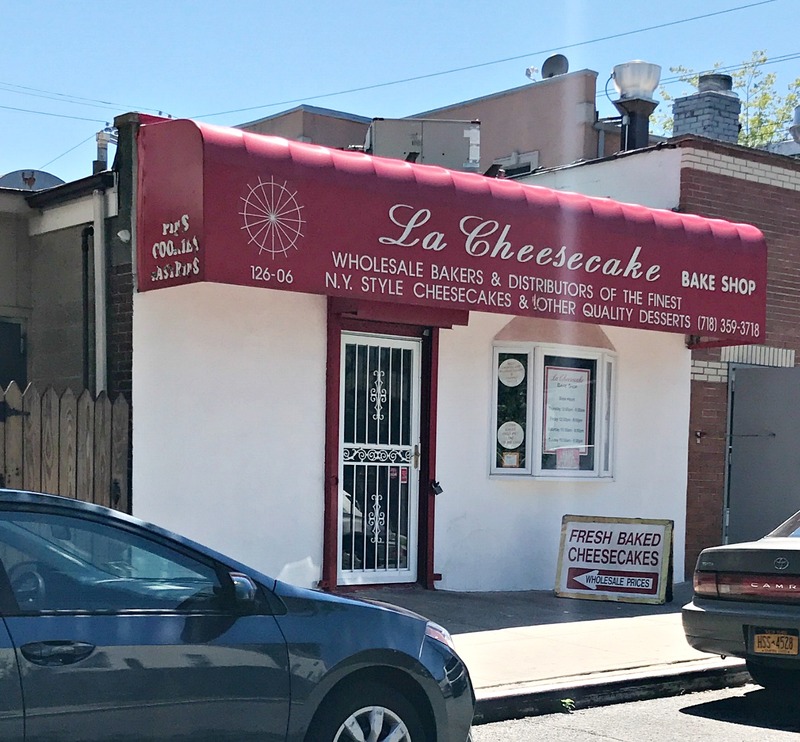 If you are looking for this place on Yelp, it says it is located in Maspeth, and it was the best slice of Sicilian pizza I have ever had, hands down. 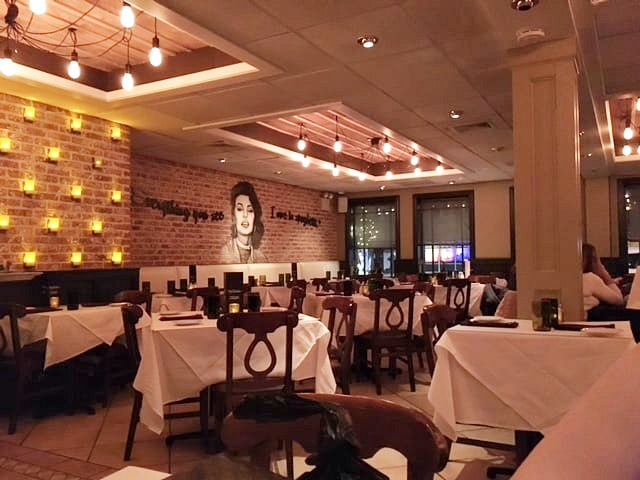 You can find this restaurant mentioned in an article titled The 7 Queens Pizzeria’s You Need To Know About. This place is nothing fancy, just a typical little corner pizza joint, but it packs a huge pizza punch. It is my mission to go back to this place again on my next trip to the city. 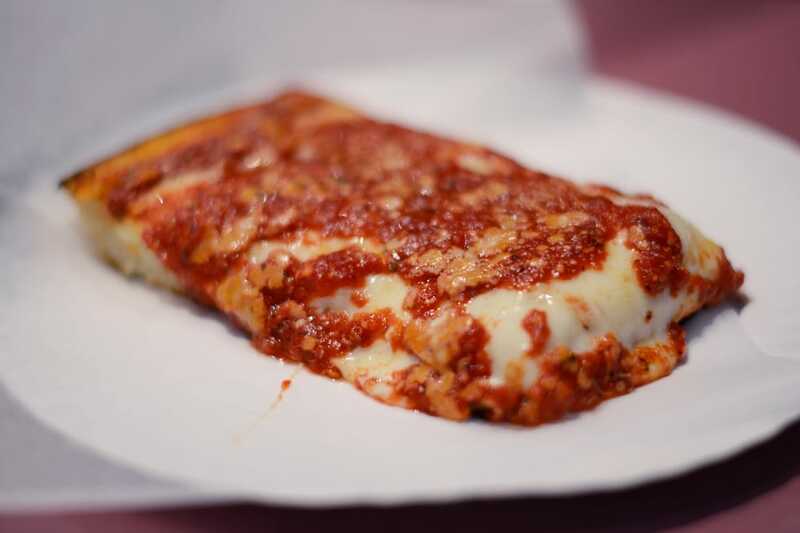 This is a slice of the Sicilian pizza that I will never, ever forget. This restaurant is famous for it’s sauce on top Sicilian, and I am a huge fan! Of course, we couldn’t leave Long Island without trying some yummy desserts. Our friends took us to this place called La Cheesecake, that was also in Queens, College Park to be exact. I’m kicking myself right now for not actually trying their cheesecake, especially after reading this review I found on Eat This New York. Cheesecake is my favorite dessert, and I didn’t try the cheesecake. What is wrong with me? I was high on Sicilian pizza, that’s what! 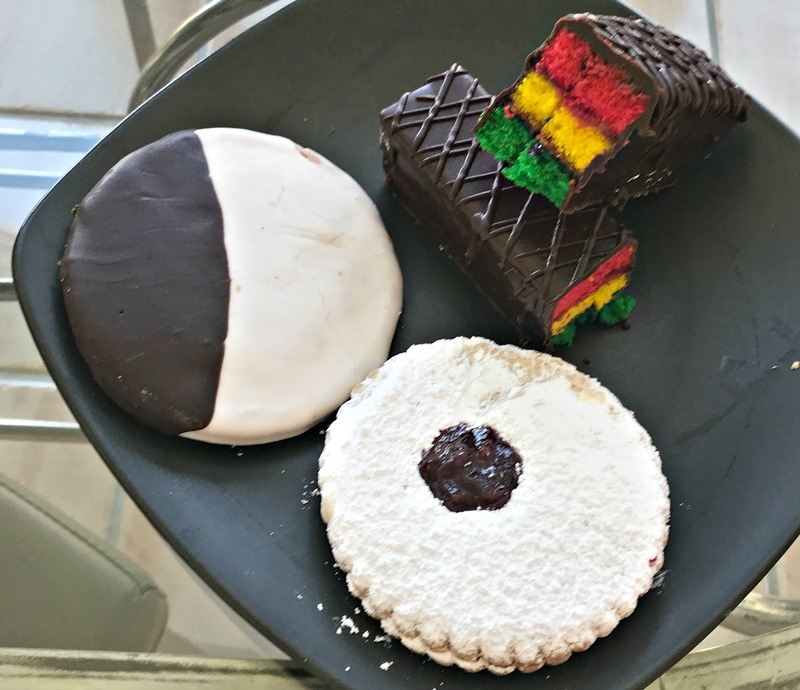 The desserts we brought home were the rainbow cookie bar, the black and white cookie, and the Linzer Tart cookie. They were all so yummy! I think my favorite was the Linzer Tart cookie, but I still wish I would have tried their cheesecake. That is my husband below with his friend Rob. He and his wife Jenine were such wonderful hosts to us during our stay. The last place they took us to was called Besito. 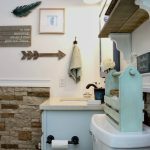 It’s located in the most charming little town call Roslyn, and this place was soooo good! 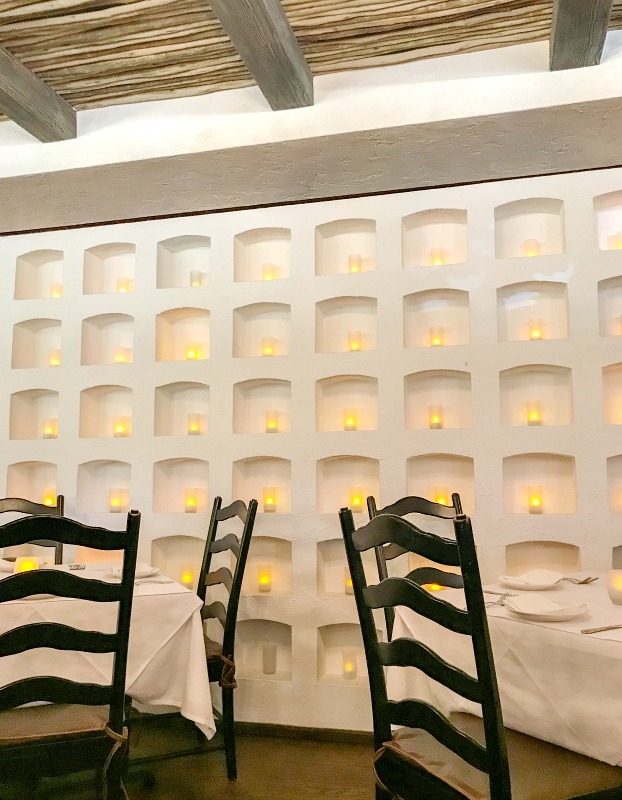 This restaurant was voted in the top 100 best restaurants in America by People magazine in 2017, and if you scroll down to the bottom of their website and click on Press, you will find links to many other accolades this restaurant has received. Let me touch a little more on this charming town of Roslyn where this restaurant was located. We didn’t have a chance to get out of the car and walk around, but I thought this little town was just so cute and quaint. 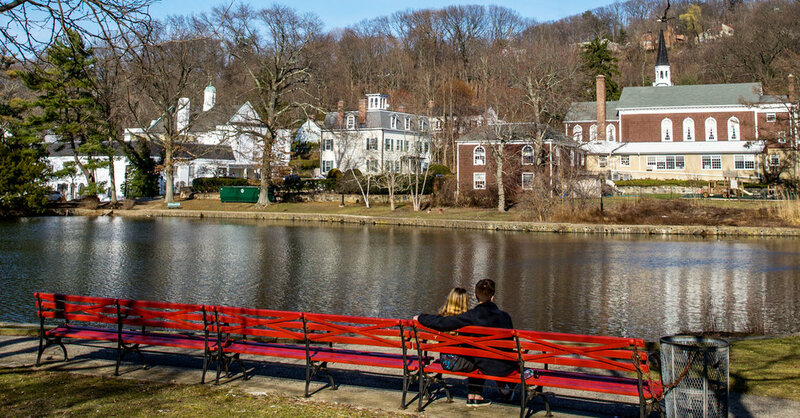 It is located on the north shore of Long Island. We passed by so many gorgeous homes, and this town is just picturesque! It is about a 40 minute drive to midtown Manhattan. I would love to go back and spend an entire weekend exploring the village. 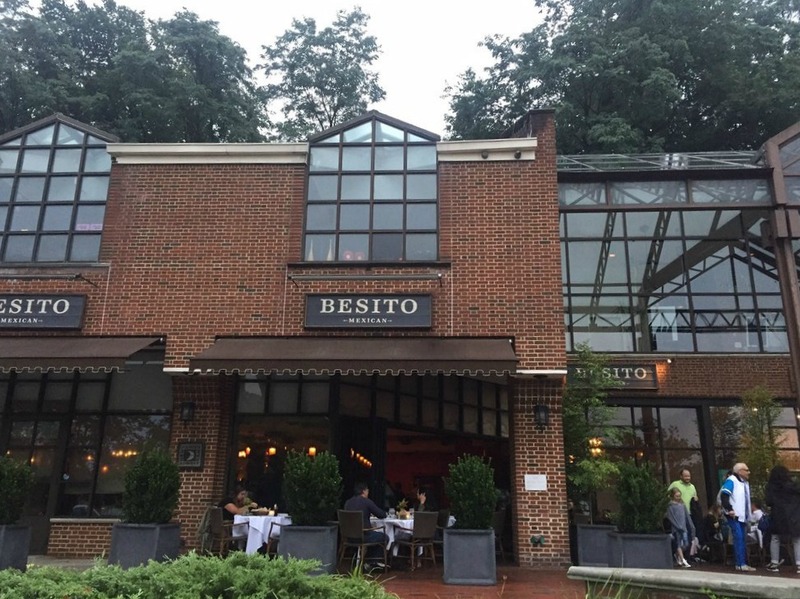 So, if you ever have a chance to visit Roslyn, take it, and stop into Besito and have a meal while you are there. 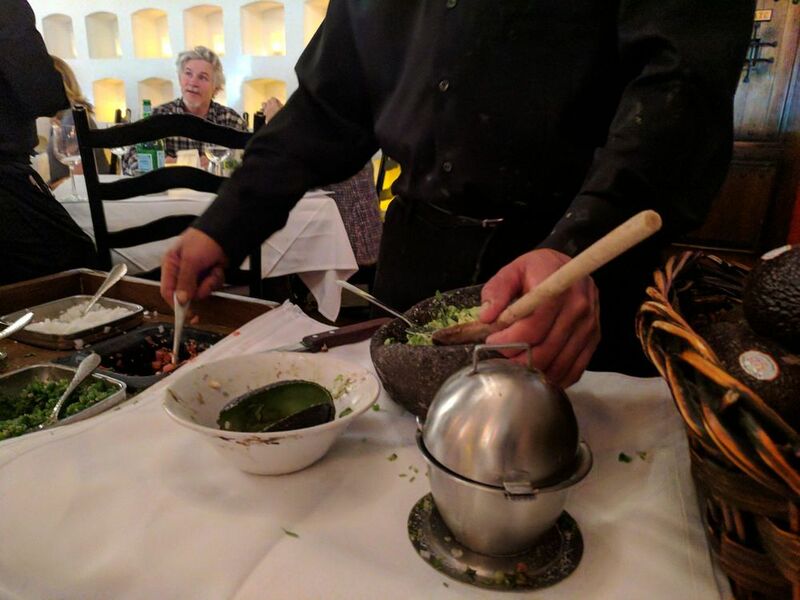 Not only was the atmosphere totally charming, but they make the fresh guacamole tableside, and good Lord it was delicious! We all took turns tasting each other’s food, and everything was top notch. 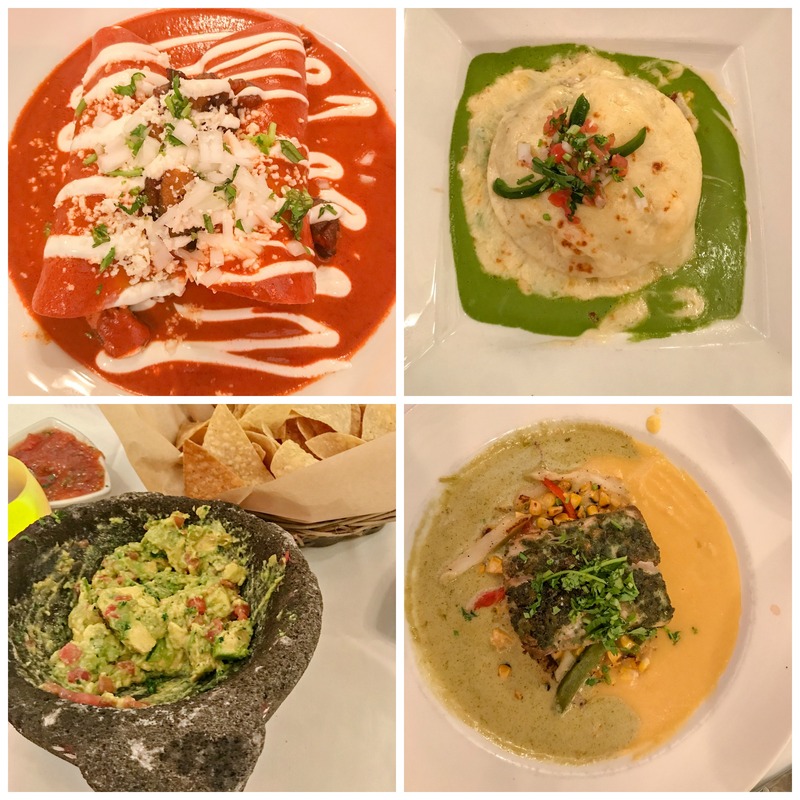 You can see the tableside guacamole and some of our dishes we ate below. We were very lucky to be able to park our car at our friend’s house in Oceanside, Long Island. 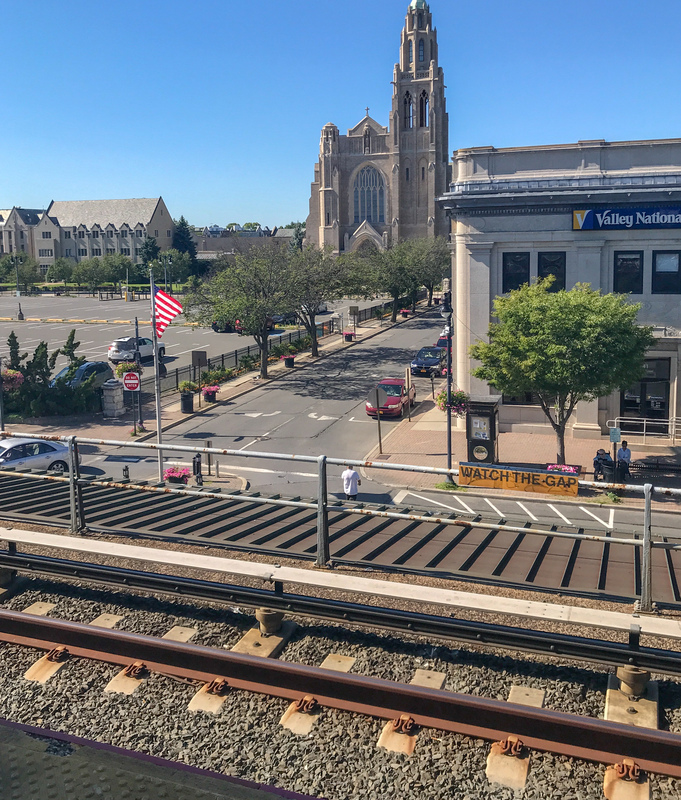 We just took the train into the city and then back at the end of the week to pick up our car. I have another travel report in the works for our time spent in NYC, so I sure hope you can stop by and take a look soon! 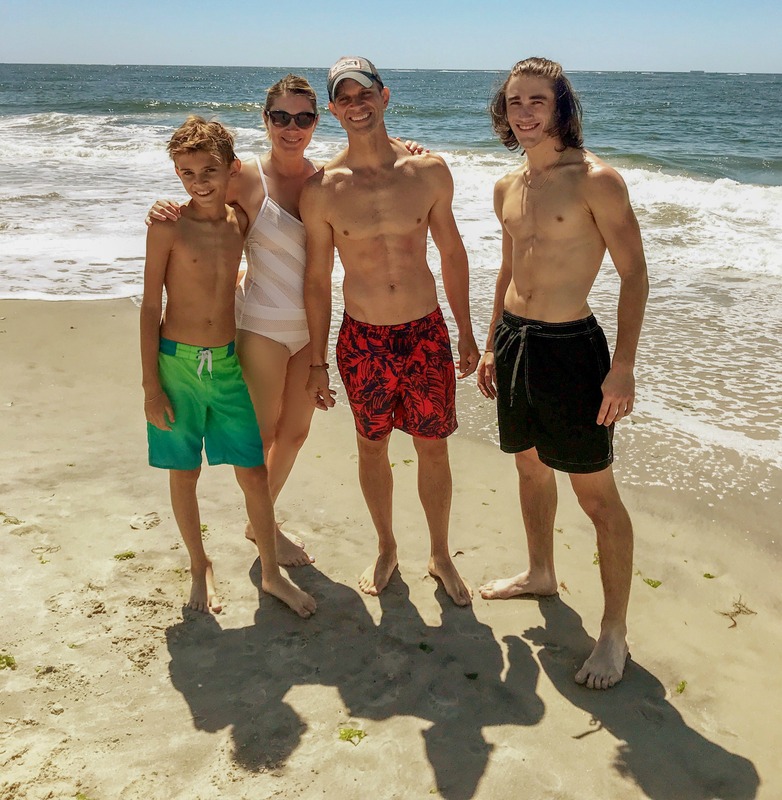 We had a great time visiting Long Island and our friends. We hope to go back again sometime, because I want to go to some completely different restaurants next time. 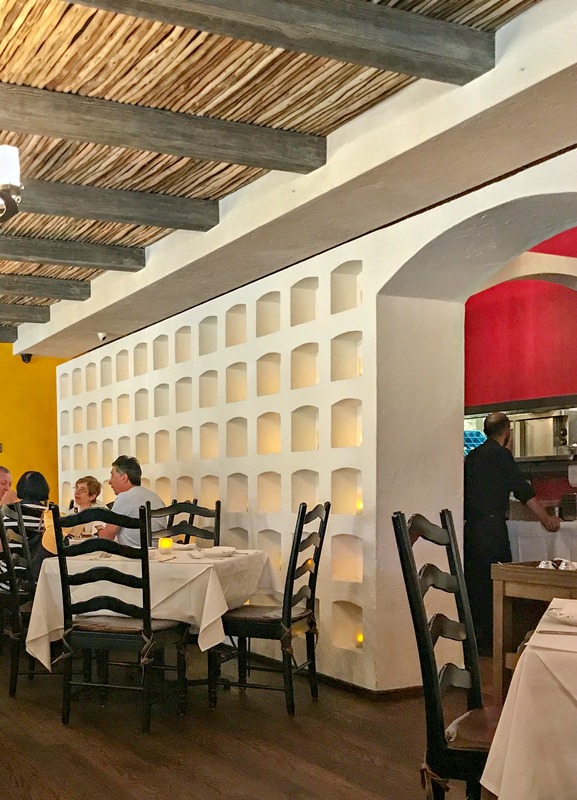 Well, I will go to Rosa’s again, but we would love to try more food in the area. Totally with you on empty nest-ish. We dropped our middle off in the middle of MN last week. Thanks so much Laura! I hope you two have a great time! What a great post! We have a lot of friends from Long Island and they talk about it all the time. Nice to see a little of what it looks like. Thank you for sharing on Merry Monday! Hope to see ya next week! Thanks so much! 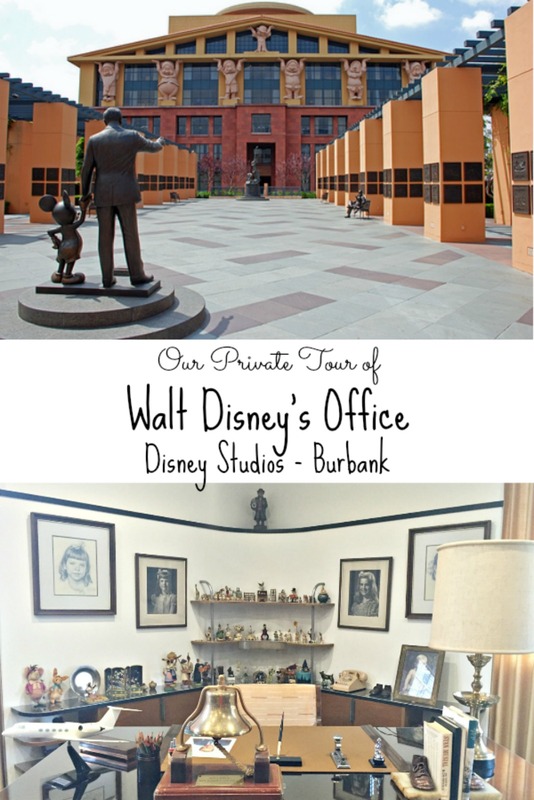 We really liked it there! 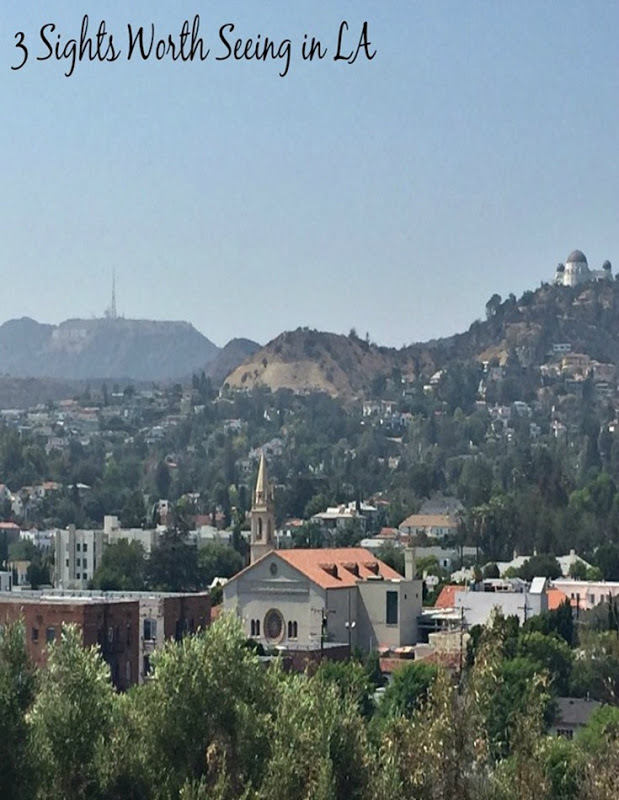 So close to the city, but didn’t feel like it. And the beach is so close too, so they have the best of both worlds!